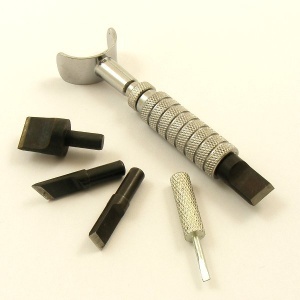 This is a great starter kit for anyone wanting to take up leather carving. 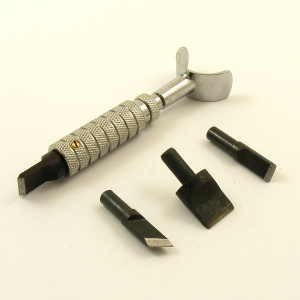 Included in the kit is a high quality swivel knife along with 4 blades - straight blades in 1/2" (12mm) 3/8" (9mm) and 1/4" (6mm) sizes, plus with an angled 6mmm (1/4") blade. Also included is a small screw driver for changing your blades.